Time to address the massive elephant in the room, we will tell you why Diego Simeone is a far better choice than Jose Mourinho for Inter. As the news of a possible Jose Mourinho come back to Inter broke earlier this week, there was a sudden feeling that Diego Simeone’s chance to coach the Italian squad might take a little longer than previously anticipated. The Atletico Madrid manager doesn’t really seem like he will leave the Colchoneros anytime soon, which is why the Internazionale Milano board of directors are apparently going after the manager who is free at the moment, Jose Mourinho is the most logical choice right now to replace Luciano Spalletti and that’s what we believe could most likely happen. But accepting the reality doesn’t accept that we agree with it, we insist that Jose Mourinho is not ready to return to management yet. The Portuguese manager has only taken a few months off and he is already looking for a new club to manage, without even stopping for a second to contemplate what he has done wrong on his previous three jobs. This reason alone should be more than enough for the Inter owners to identify the red flag from Jose Mourinho, the man has been sacked by his last three clubs and he left far more enemies than friends while he did it. But Internazionale Milano seems like a club that is desperate to end Juventus FC’s reign in Italian football, they’ve had enough and they truly believe that bringing Jose Mourinho back to the club is the best option at the moment. But we think there is a much better option for them that will require more patience, all they have to do is wait for the season to finish and hope that Diego Simeone decides to finally live up to his word of someday coaching the Italian club. 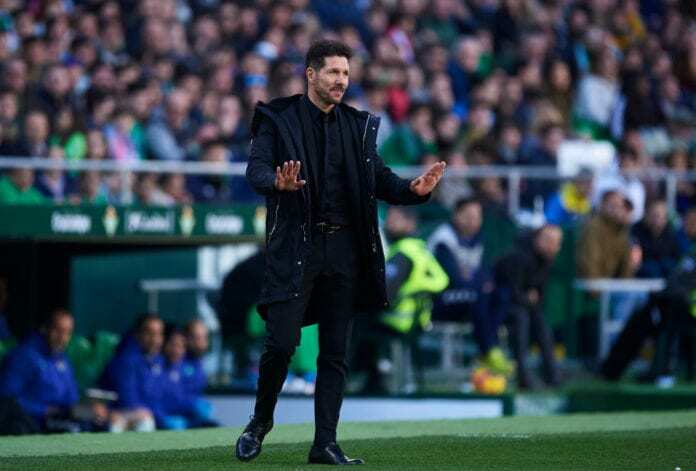 There are two clubs in Diego Simeone’s career as a player that truly matter from his career in Europe, one is Atletico Madrid and he has already found massive success there during the last seven seasons. The other one is Internazionale Milano, where he also played for many years and won several trophies that turned him into one of the club’s biggest supporters. ‘Cholo’ actually met far more success as a player when he played for Inter than during his time at Atletico Madrid, he won the extinct UEFA Cup with the Nerazzurri as a player and crowned a spectacular season with this trophy alongside Brazilian Ronaldo. That title for Inter was the biggest one Simeone won as a player, the memories there are also very fond. Atletico Madrid manager Diego Simeone believes the criticism aimed at his compatriot Lionel Messi for his failure to win a major title with Argentina is wrong. Mirá @GBatistutaOK , lo que encontré por ahí…. El 9 que más quise, quiero e idolatré , y en frente Ronaldo Nazario y el cholo Simeone…. Simeone is another one of those rare examples of a player who really understands a club’s philosophy when he was a player and came to execute it as a manager later in his career. The Argentine manager owes it to the Inter fans to someday return to the club as a coach and take the squad back to the top, but he seems preoccupied at the moment with the Colchoneros. If ‘Cholo’ managed to win the Champions League this season with Atletico Madrid at the Wanda Metropolitano, this could be the perfect way to put an end to a truly remarkable career as a Colchonero and the ideal scenario in which he could bid farewell in order to deliver on his word for the Italian club. This is the only way we see possible that Simeone can coach Inter any time soon, by leaving Atletico Madrid at the very top of the world. So we say to the Inter owners. Wouldn’t it be worth waiting only a few more months to see if Diego Simeone wins the Champions League this season and then come to Italy as the best manager in the world? Jose Mourinho is hardly going through his best moment, but patience has never been a virtue in top-flight football. How long do you think it would take Diego Simeone to win a trophy at Inter as a manager? Please share your opinion in the comment section down below.